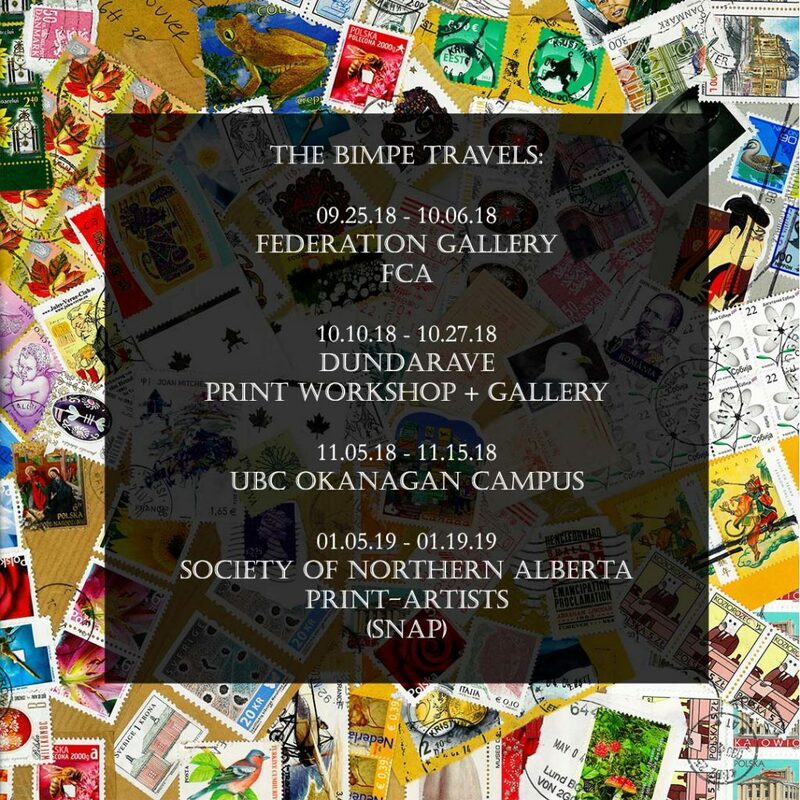 The Biennial International Miniature Print Exhibition (BIMPE) is organized by New Leaf Editions every two years in Vancouver, British Columbia. The Exhibition travels to four different venues. 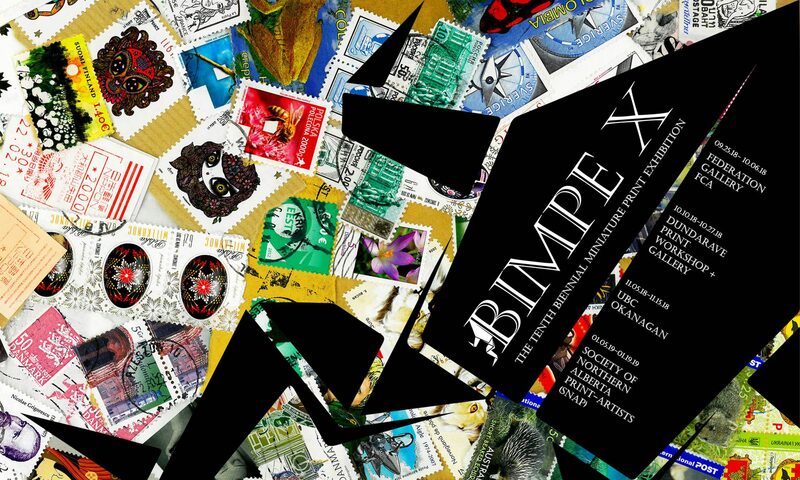 This exhibition is a showcase for small scale works measuring no more than 15cm × 10cm, and is open to images made using all printmaking techniques from traditional line etching to contemporary digital processes.